In early 2019, BMW’s ever growing X family will welcome a new and prestigious member – the seven-seater X7. But ahead of its market launch, BMW has invited me to Spartanburg, South Carolina, to participate in a so-called “pre-drive” event. 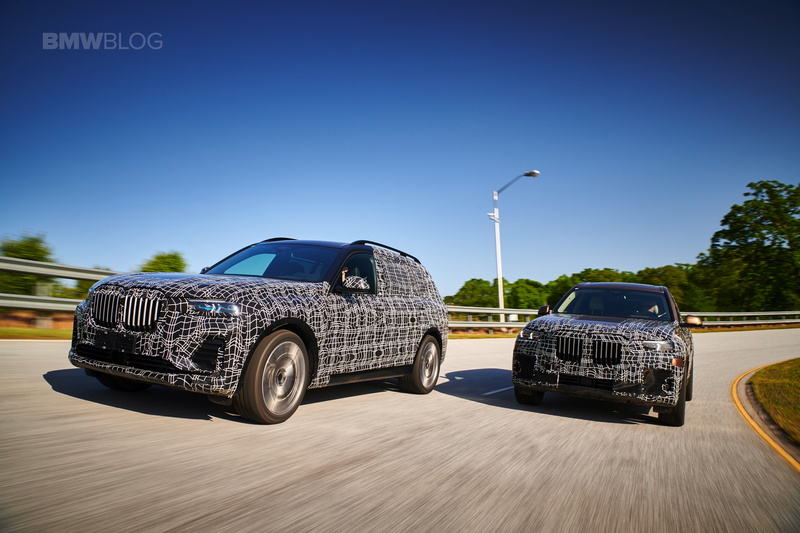 The idea behind driving a pre-production BMW is to get some early insight into the development process of the car, while at the same time, providing feedback to the engineers responsible for the X7. 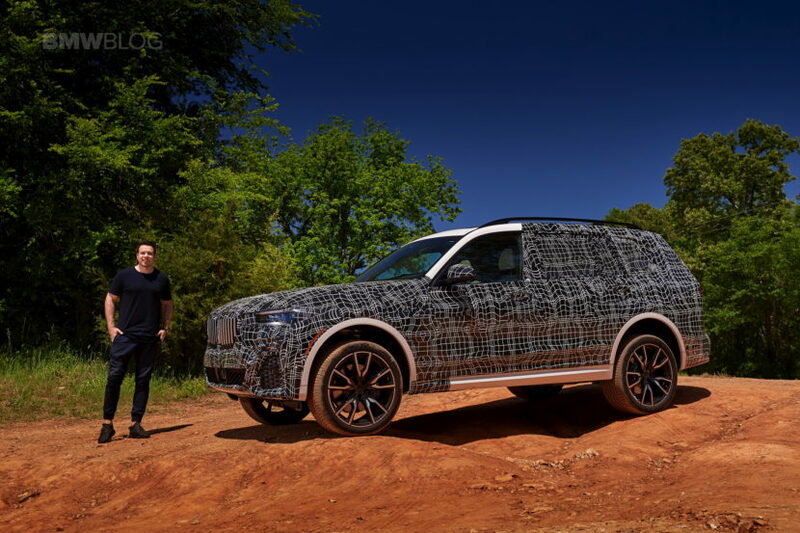 Christoph Stefan, product engineering, driving dynamics BMW X7, says that the current completion rate of the chassis development is in between 80 and 85 percent, with some refinements left to be done, and here is where some of our feedback could end up in the final series vehicle. 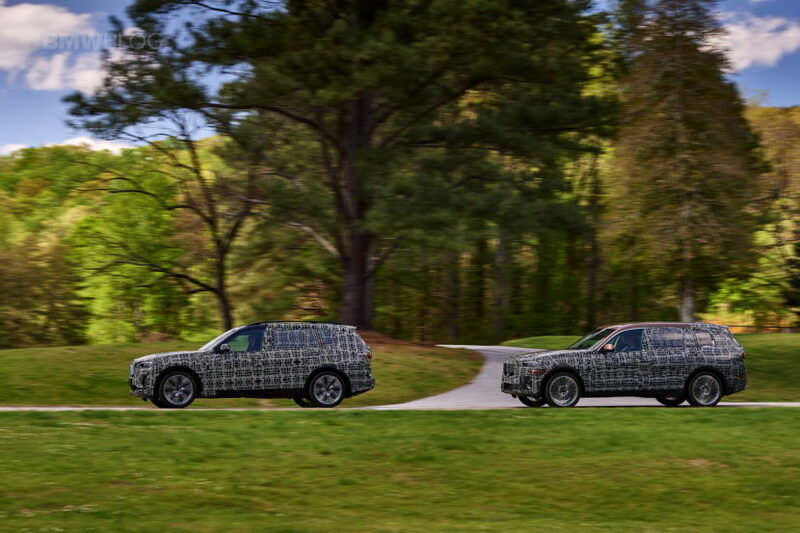 To solely focus on the driving experience and the car’s dynamics, BMW has picked a new paint job for their X7 – the swirly and always fascinating BMW camouflage. 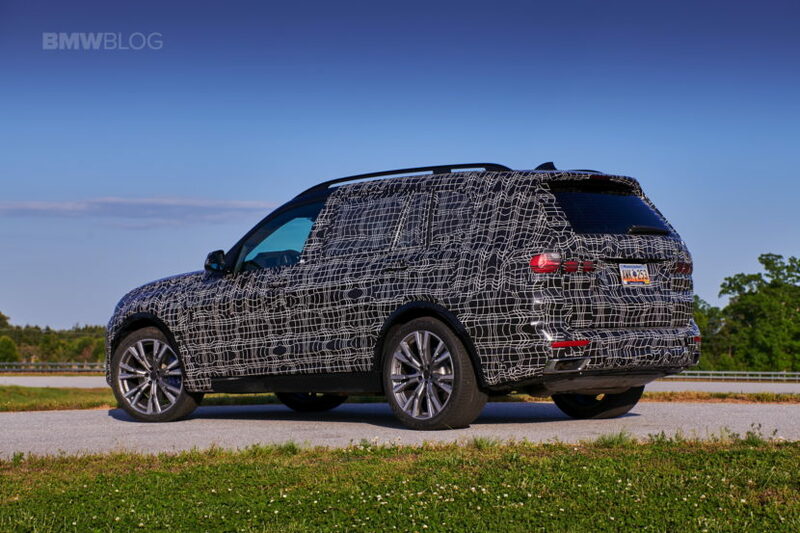 Since the wrapped up X7 models I’ve seen in Spartanburg were hiding the fine design details, my attention has completely switched to the engineering process behind the largest BMW SUV ever made. But before I jump into that, allow me a few minutes of your time to explain the background of this potentially game changing BMW project. Ever since BMW launched its first X5 Sports Activity Vehicle in 1999 – an important milestone in the history of BMW and a huge bet for the Bavarians – the X5 premium crossover has been sold to over 2 million customers, including to the owners of the smaller volume X6 Sports Activity Coupe. 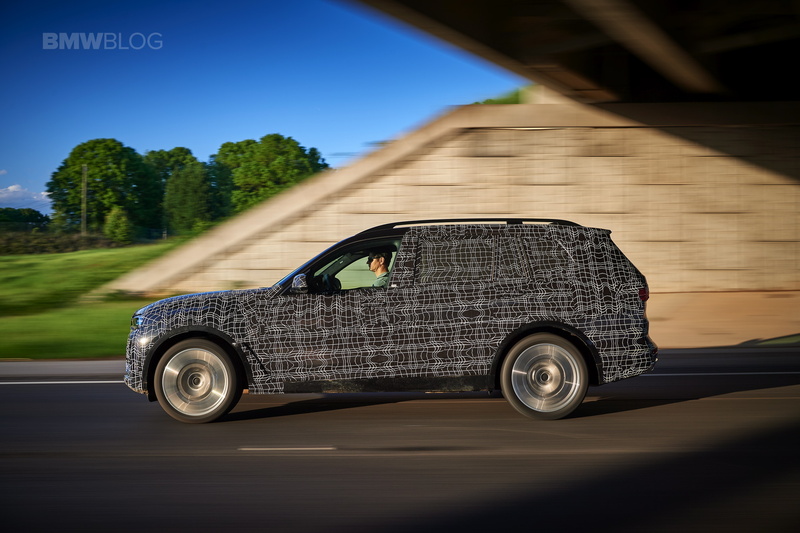 So almost 20 years later, BMW is ready to tackle a new challenge – designing a dynamic and luxurious seven seater SUV. 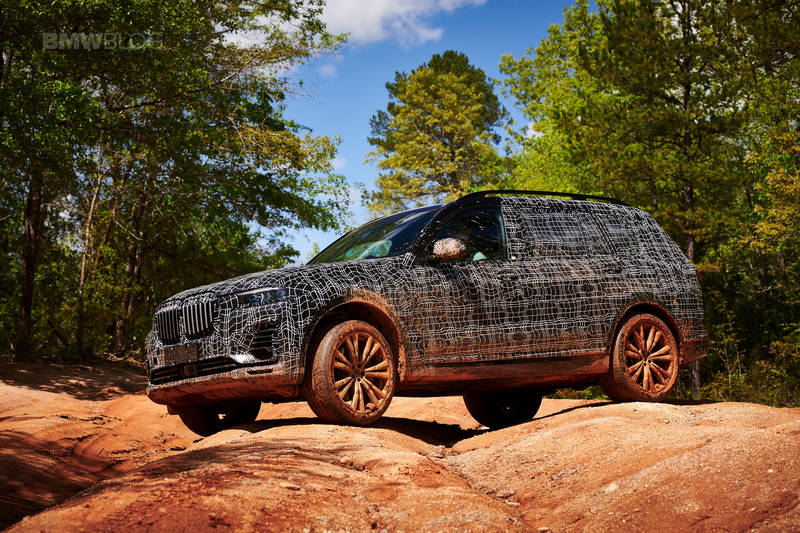 The market for luxury SUVs is growing at a rapid pace, one can easily spot in this segment trucks like the Range Rover, Audi Q7, Mercedes-Benz GLS or the Infiniti QX80. 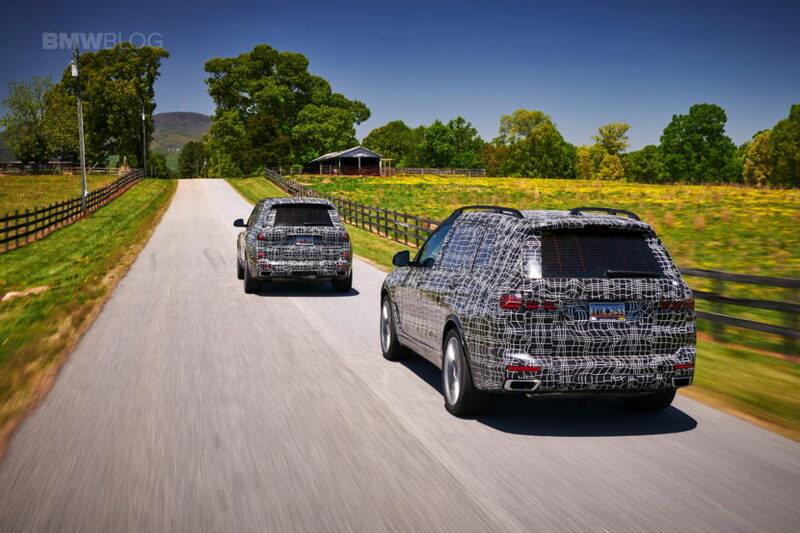 So the bar has been set fairly high for the Bavarians, with some of those SUVs excelling in the looks or comfort department, but BMW is willing to bet on their X7 as being the most comfortable to drive, and dynamic, at the same time. While some recent BMWs have struggled to find their target demographic, the X7 has a few customer profiles at its disposal. One of them is the North American family who has often struggled with the space in the X5 and have been asking for a larger, true seven-seater luxury SUV. Those families have often found comfort in the design of other brands, but now the new X7 could fulfill their requirements. The other X7 customer lives in China where every premium automaker has been focusing on producing larger, luxury cars for the Chinese customer who mostly enjoys the rear seat experience. Next, we have the Middle East where social status is the main driver behind a car purchase, which puts the X7 on top of the luxury goods list of Middle Easterns. Last on the list is Eastern Europe, with markets like Russia where BMW SUVs have enjoyed being the market leaders, so naturally, the X7 should feel right at home. 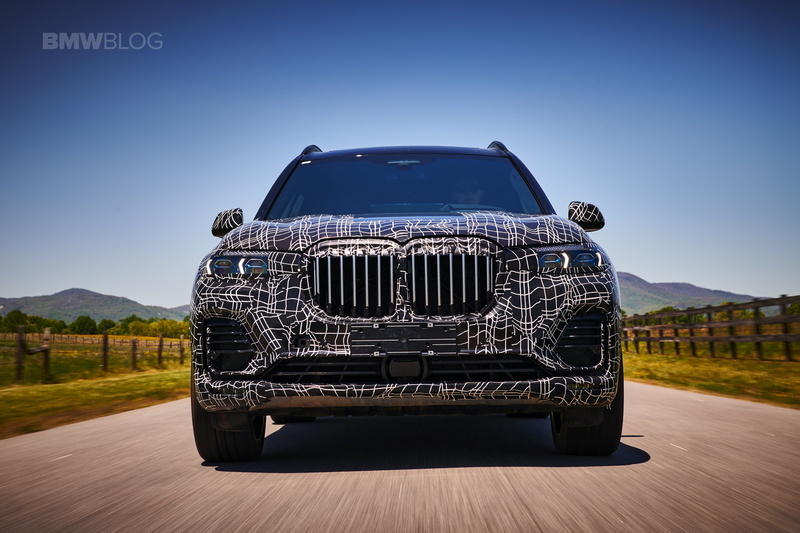 Of course, BMW is also targeting all its other global markets, so the X7 will also find its way into Western Europe, likely with more basic features and less powerful engine options. With the customer profile defined, the next step in the X7 development process moved up to the requirements list of those customers, which includes generous cabin space, premium materials and latest tech, along with a comfortable ride, reminiscing of the 7 Series, but from a higher seating position. 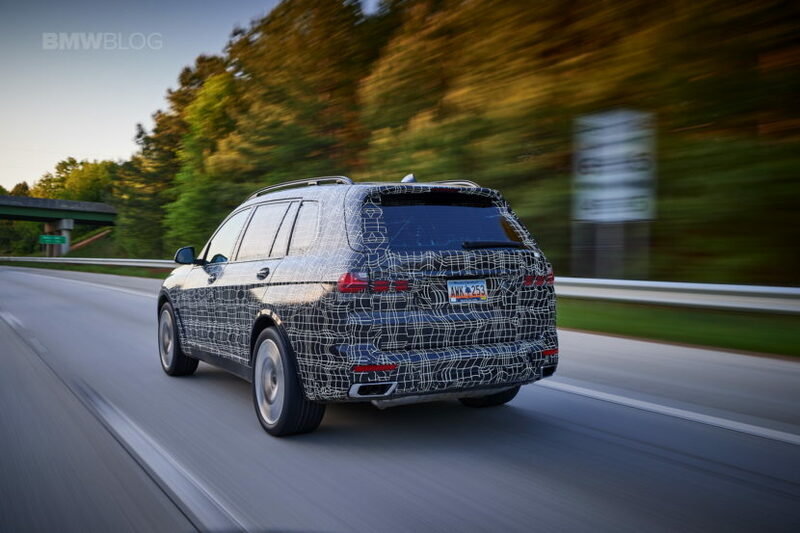 But since this is a BMW and its DNA rests on the shoulder of the “Ultimate Driving Machine” slogan, the engineers in Munich and Spartanburg have included another important requirement – driving dynamics worthy of a BMW. At 5.1 meters long, the X7 is a massive car, not only emphasized by its proportions, but also by its front grille who had us scared in its initial concept form. In near production variant, the massive kidney grille simply fits perfectly the character of the car, and while I couldn’t see the fine details, it was enough to acknowledge that a smaller grille would have looked odd, at best. But more on the design when the car will be shown later this year. The first pre-production X7 we jumped into was powered by the well-known V8 TwinTurbo 4.4 liter engine. While BMW has refrained from mentioning its codename or revision, or any power figures for that matter, I was able to quickly identify its character, well known from other “50i” BMW cars. While behind the wheel, I found myself immersed into a pool of interior space, on both sides of my body, above my head and with my legs fully stretched out. Not that one should be driving in that position, but at 6’3 or close to 1.90 meters, I definitely fall in the category of tall people. Most of the interior was hidden under a thin black cover, so I couldn’t get a full view of the luxury inside the car, but at a first glance, I spotted two 12″3 inch LCD screens, one behind the wheel and the other floating above the dashboard, powered by the latest BMW iDrive 7.0 operating system. In the center console, most of the buttons and switches are either made of glass or chrome, giving that upscale look we’ve been looking for in a BMW. The eight-speed shift lever is covered in Swarovski crystals, a design that will come to the new X5 and the 8 Series, later this year. The iDrive knob has also been redesigned, slimmer than before, in a combination of chrome and crystals. Very sleek looking, I would say. Gesture control will also be part of the X7 offering, with additional gestures compared to the system found in the new 5 Series and the 7 Series limousine. Tech lowers will also love the endless number of USB ports, including the USB-C standard which allows for faster charging of your gadgets. 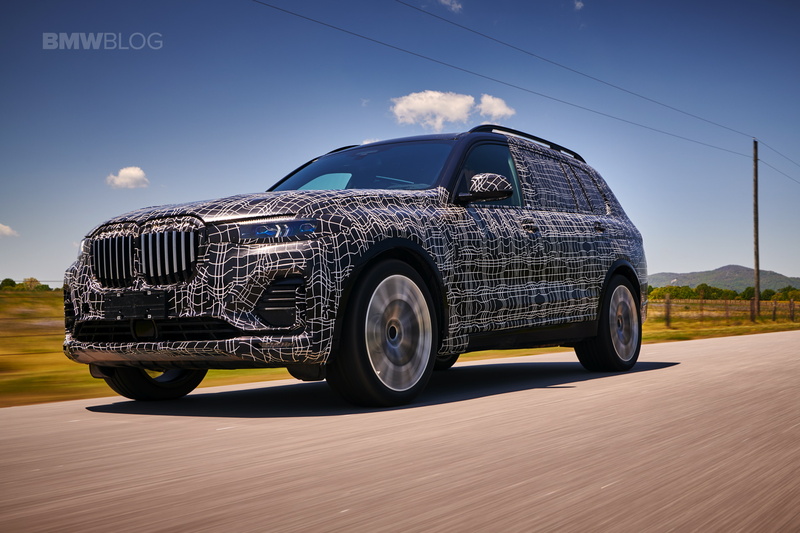 BMW won’t officially comment on wireless charging and Apple CarPlay, but it’s fair to assume that those will found a home inside the luxurious X7. One other major change in the interior design is the display of the A/C system which now shows the temperature in a full-digital manner. The start button has been moved from its traditional location on the dashboard to a spot on the central console, and it’s a little more subtle in shape and size. Since this was an early pre-production model, it’s not likely fair to focus solely on the interior design, so we will also leave that for later on. But what can we focus on instead is the new seven-seating configuration. The first model we tested came with a bench in the second row, which translates into a general seating for seven. Optional, the customer can order a six-seater configuration which really means the second row becomes two individual seats which offer additional comfort. It quickly became clear that the individual seats in the second row also have another functional role – it allows you to easier get in and out of the third row. This might not be an issue for many, but if you’re fairly tall, it will certainly help. As most SUVs with a third row option, the seating is really ideal for kids or teenagers, but nonetheless adults can certainly fit in there as well. In both configurations when the third-row seats are in use, the trunk space becomes tiny, but as soon as you flat out the third row, the boot space can easily fit the largest LCD TV on the market. Under the sheet metal of the X7 lies the same CLAR flexible architecture that underpins rear-drive cars from the 3 Series to 7 Series, and the latest X3 and new X7. The CLAR architecture can accommodate conventional petrol and diesel powertrains, plus plug-in hybrid and full electric drivetrains. 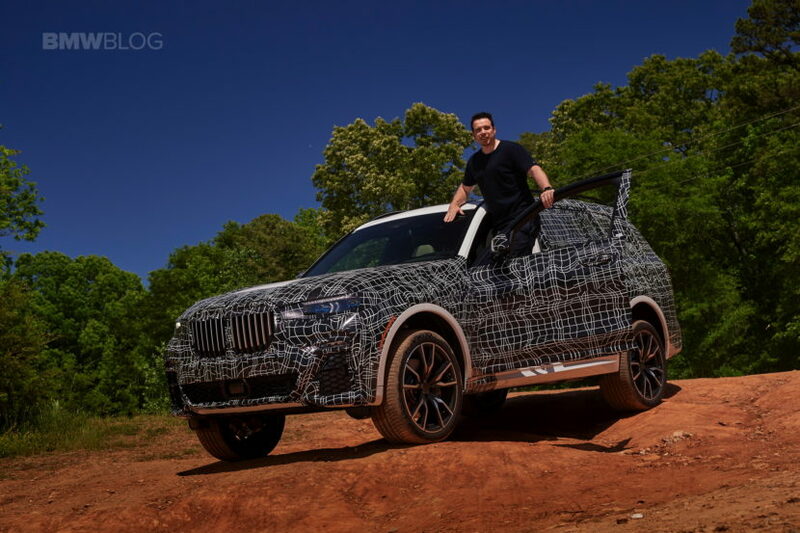 But while many would assume that the X7 is simply using an extended wheelbase of the X5, you couldn’t be further from the truth, according to X7 project leader Joerg Wunder. The top X7 manager says that the chassis and platform is specific to the X7, hence why the driving experience will be unique to the car. 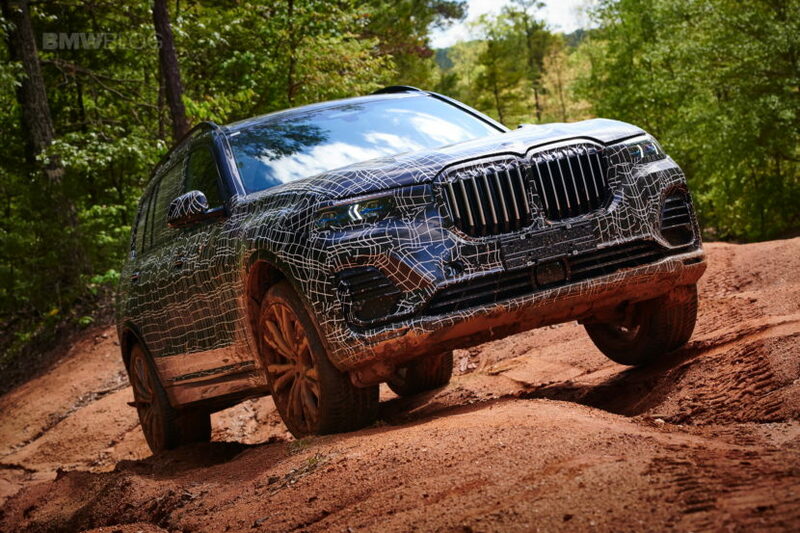 Since the X7 aims to be the 7 Series of the X family, the new SUV now offers a two-axle air suspension, standard, on all models. The ride height is adjustable based on the driving mode and speed, and has a range up to 80 millimeters. Since comfort is the name of the game, BMW has included, again standard, the Dynamic Damper Control. Anti-roll bars can also be added to the package, along with the Integral Active Steering. Customers can also option up an Off-road package that allows for a rear-lock differential, while the steering configuration can be optioned as well – electronic steering system standard and a active rear steering system for an extra cost. The familiar V8 TwinTurbo petrol engine does its job reliably, with a smooth power delivery and enough torque at low rpms to catapult the heavy X7. The ZF eight-speed automatic transmission is also familiar from other models, so I was not surprised to feel the smooth shifting throughout my trip. You can also use the paddle shifters behind the wheel, if you’re feeling extremely adventurous that day. Dual personality seems to be the name of the game at BMW these days, so no surprise there when the X7 felt like a high-end limousine in Comfort mode, smoothly navigating over imperfect terrain, without much road noise, despite the large 21 inch, Pirelli P Zero 285/45 R21 performance tires. The air suspension plays its part in offering a comfortable, soft ride, exactly what most of the X7 customers would require. Cabin insulation is also outstanding, despite the X7 being almost fully wrapped up in the camo tape. A quick button push of the Sport Mode gives us Dr. Jekyll, instantly. The X7 immediately tightens its suspension and steering response, the throttle mapping has changed to a more aggressive setting, while the ride height is lowered to allow for a sportier stance and a more dynamic driving experience. Now I’m on a bend of tight corners around the Greenville area and with traffic being light, I have the chance to push the seven-seater more than I should. 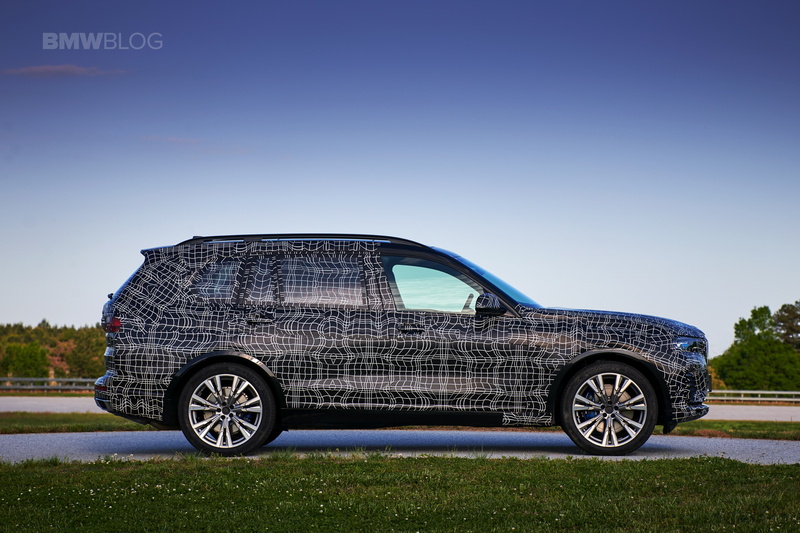 But the goal is to see if indeed BMW has delivered on its promise of a sporty SUV. In Sport Mode, the X7 is sharper on its feet, the active stabilizers and anti-roll bars kick in and I’m getting far less body roll that I initially experienced in the Comfort setting. My co-pilot, Christoph Stefan, in charge of the X7 chassis development, says that, more than ever, the Integral Active Steering plays an important role in a BMW. Using a variable steering ratio with passively steered rear wheels, the Integral Active Steering delivers improved stability and comfort.The system steers the rear wheels in the opposite direction as the front wheels, at certain speeds, significantly reducing the turning circle and making for easier maneuvering during tight situations. And since this is a third row seater SUV, comfort and motion sickness reduction is important for passengers riding in the back. The ride quality might be slightly altered with the different wheel sizes – ranging from 20 to 22 inches – and with the different rubber compound, specific to performance, all-season or winter tires. The last two driving modes available to the X7 driver are the Adaptive mode and Eco Pro. The former learns your driving and makes several adjustments on the fly, like the throttle and steering response, while the latter is a more numb Comfort mode which I believe it will be rarely used by anyone. Unless, a plug-in hybrid is offered, a topic that BMW has not officially comment on it, but I’m fairly confident that will arrive sometimes next year. 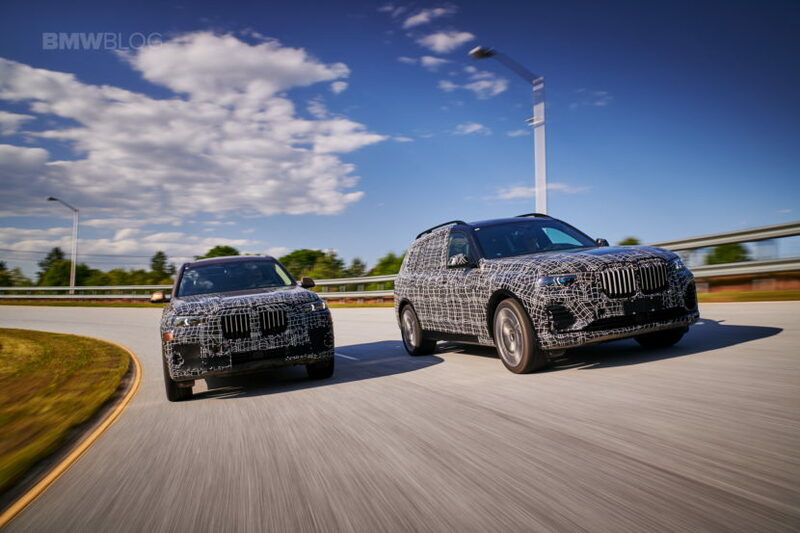 If going by BMW naming standards, the X7 I was in was the xDrive50i, and it was spec’ed to its fullest, or at least with all the options and features available at this point in the development cycle. There were still things like autonomous driving features and iDrive functionality that I would have liked to test now, but I will have that opportunity in the future. Next X7 model I tested was the unbadged xDrive40i, powered by the also familiar B58 3.0 liter six-cylinder engine. Once again, BMW powertrain engineers were not ready to comment on the final power delivery since adjustments are still being made. Nonetheless, I was more than familiar with this engine and it’s been one of my favorites for a while now. The power curve is definitely different than the V8 I tested, but that’s not necessarily a bad thing. The X7 now has a different driving character, feeling lighter on its feet and with a slightly different weight distribution. The large SUV becomes slightly more agile, but without the full range of driving assistance features, it’s also a bit more “windy” on the road. The body roll is higher and the X7 becomes a bit more tail happy, which, again, is not necessarily a bad thing, and it will come down to your personal preference – a more planted driving feeling as in the fully equipped V8 or a more fun and nimble SUV. My co-pilot also mentioned that the growling sound coming from behind the rear-end is likely due to an upgraded Sports exhaust system, so it’s refreshing to know that BMW is already looking into some M performance options. The standard xDrive has also been updated with the torque being split based on the driving conditions, speed and mode selected. 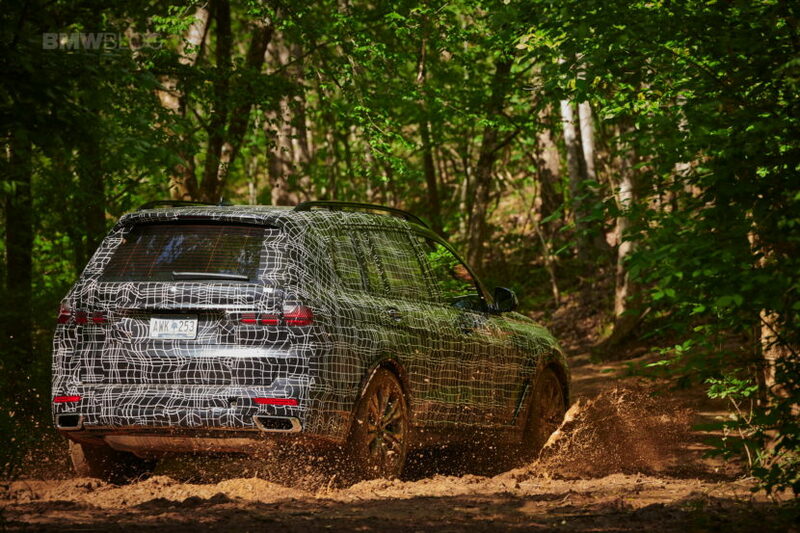 If you’re looking for a rear-wheel drive X7, well, BMW has once again being tight-lipped about it. Before I move forward onto the base X7 variant I tested – a 3.0 liter diesel with no fancy features – a little bit on the steering input. If you’re used to sporty BMWs and live and breathe M cars, then you will likely be disappointed. This is not your 1M or M2 steering wheel, nor it ever wanted to behave like one. It’s fairly light, unless you go into Sport mode where it instantly gains weight and precision. According to Stefan, this was indeed by design, since “comfort” is the name of the game in this competitive segment. Last on my list of testers on this unique driving day was the diesel, which won’t be offered in the US, but it will be available at market launch in selected markets. Once again, my instinct says that this is the B57 engine with the 300+ horsepower, the modular powerplant which can also be configured with four turbos. In this stripped out X7 diesel, the driving dynamics are again altered. Thanks to its high torque at low rpms, the straight-six diesel easily pushes the X7 forward, so at no time one would have to worry about the sluggishness of this large SUV. Without all the fancy chassis and suspension features, the X7 feels even more domesticated, slightly disconnected from the driver, but I could see how that would be appealing to some customers, especially those looking for a lower price point. It’s still admirable that BMW manages to offer a wide range of features and options to to everyone, essentially catering to several demographics. In the end, I can only conclude after my road driving experience that for something weighing in at about 2,300 kg, the handling of the X7 is impressive. It feels a lot like the current X5 with some of the qualities of the 7 Series Sedan. My day ends in the most unusual way – with a trip to the Gulches off-road vehicle park. This is not your typical dirt road course where you can cruise in style, but rather a pretty adventurous, steep and rocky terrain which certainly requires your full attention. And since BMW has yet to trust my proven off-road capabilities, they once again paired me with Herr Stefan, while pursuing a lead car. My tester was carefully chosen so it included the optional Off-Road Package which comes with skid plates, hill descent control, an electronic differential lock and a functional underbody cover. 22 inch wheels were also part of this prototype, so I was fully equipped for this adventure. The air suspension topped out, so ground clearance was ample, as long as you carefully followed the negotiated track. The X7 handled itself did surprisingly well, despite some situations where at least two wheels were up in the air. I went through a series of climb steep hills, pushed forward through sticky mud and climbed over sharp rocks, making that chassis and suspension work its magic. It’s unlikely that many, if any customers, will subject their X7 to such extreme treatment, but it’s comforting to know that the combination of an experienced driver and the X7 can get you out of some tight situations. 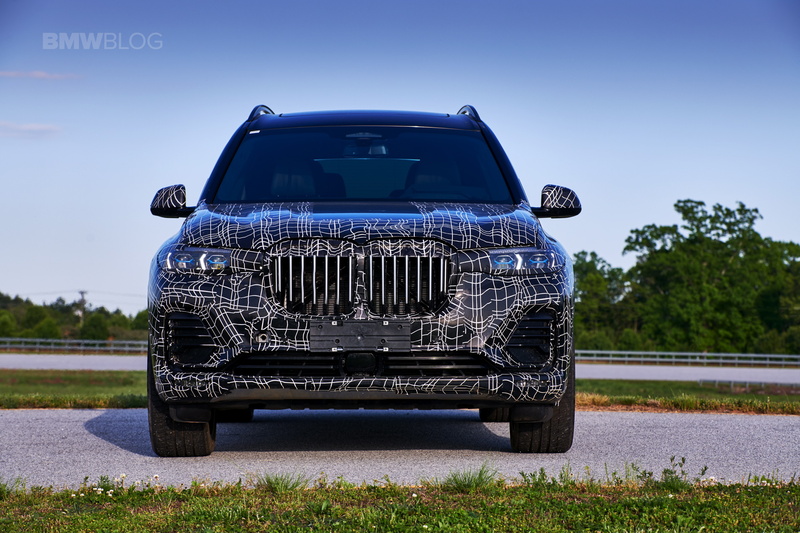 Production of the new X7 will kick off late this year at the BMW’s largest plant in the world – Spartanburg, South Carolina. Initially, four models will be produced, but others will follow. Pricing is a taboo topic right now, but I got the impression that the base X7 will start at around 80,000 euros (or a similar dollar value in the US), while some of the high-end models will easily pass the 100K mark. Nonetheless, I expect BMW to sell lots of those, especially in the US, with most heading to the West Coast or on the Northeastern corridor. Europeans might have a hard time swallowing its size on their narrow, yet pretty roads, so the X7 will certainly have an even higher status on the Old Continent, maybe, even an aspiration car for many.